Lord Hope’s Diaries is the title of a series of books which covers the whole of Lord Hope’s career at the Scottish bar and as a judge both in Edinburgh and then in London. It provides a unique and fascinating insight into a way of life in the law that has now passed into history. 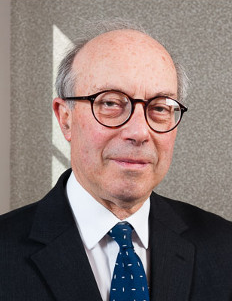 Dean of Faculty 1986-1989 covers Lord Hope’s time as Dean of the Faculty of Advocates. He represented the Faculty at home and abroad, while also maintaining a busy practice at the Bar. Lord President 1989-1996 deals with his term of office as Lord President of the Court of Session. Much of his time was taken up with hearing appeals and writing judgements. He introduced a scheme for the filming of criminal trials and settled the rules for the introduction of solicitor advocates to the supreme courts. House of Lords 1996 to 2009, the fourth in the series, will be published in December 2018.